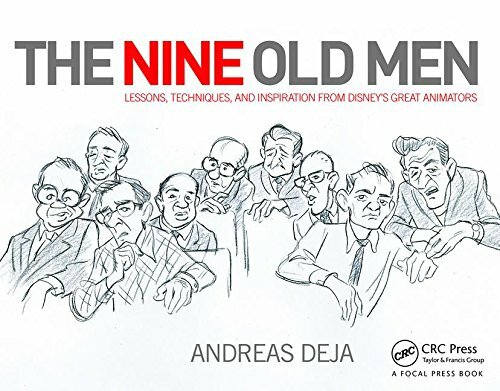 Here is a heck of an assembly of top Disney talent. The photo was taken during the early 1950ies on a soundstage at the studio. 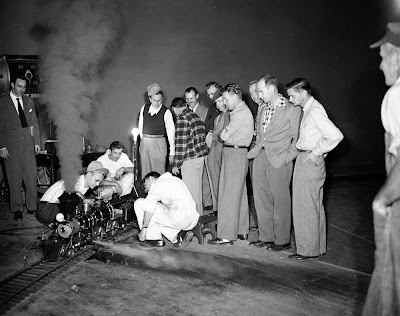 Walt Disney is getting his miniature train fired up with animation personal looking on. Standing from left to right are Walt Disney, unknown, producer Harry Tytle, Milt Kahl, Ward Kimball, Ham Luske, Eric Larson, Ollie Johnston and John Lounsbery. Let me know when they invent time travel, because I'd love to be in on this gathering.